Bean Bags R Us NewsBean Bag FillingWhat Is the Best Filling for My Bean Bags? 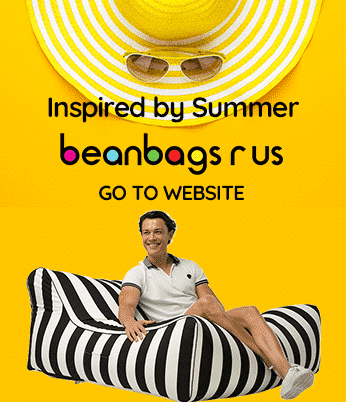 Bean bags and bean bag furniture are not only comfortable and ergonomic but also fun, exciting and affordable. However, there is more to bean bags than the uniquely designed and colourful covers you see on the outside. You may not have put much thought into it, but bean bag filler comes in many varieties, and the quality of your particular product relies on having the best filling for your needs. By understanding the different types of beads that may be inside bean bags, you will have a better idea about which filling is best for you and your family. Most bean bags are filled with a manmade material known as expanded polystyrene (EPS). EPS is a hard-celled plastic very similar to Styrofoam, which is extruded polystyrene. Besides bean bag beads, EPS is used for disposable coffee cups and as cushioning material for packaging and shipping. EPS is perfect for most bean bags and bean bag furniture because it is lightweight but rigid enough to retain its form for several years. EPS is 98 per cent air. The EPS beads used for bean bag filler are 3 mm to 5 mm in diameter, and they are resistant to moisture and heat. Although EPS is not biodegradable, it can be reused and recycled in several ways. After replacing the beads, they can be packaged and sold or delivered to a regional recycling centre. However, many people keep the older beads to use for other craft projects or as soil filler for potted plants. When you need replacement beads, it is recommended to use virgin beads rather than recycled beads, which may have a shorter useful lifespan. Expanded polypropylene (EPP) is another thermoplastic polymer that is used to fill bean bags, but it is more popular in Asia than it is in the U.S. and Europe. EPP beads have several benefits over EPS beads and other fillers. EPP foam is very strong and durable yet incredibly resilient. When crushed or bent out of shape, the material quickly returns to its original form and size. This means that the beads can be compressed without losing their airy, cushioning qualities. EPP beads also have several other benefits. They do not lose their volume as quickly as EPS beads do, and they do not have as strong of an odour. The primary problem with EPP beads is that they are very susceptible to fire and burning, and it also degrades when exposed to oxygen. EPP is popular in many other applications, including plastic furniture and plastic lids with living hinges. Micro-beads were once used in certain types of bean bags, such as pillows and neck pillows, but they are not appropriate for large bean bags and furniture. Micro-beads are tiny pellets made from a type of plastic known as polyethylene, and they range in size from 10 µm to 1 mm. Over the past several years, micro-beads have been commonly used as an exfoliating agent in several types of cosmetic products, including liquid soaps and lotions. These small beads are exceptionally smooth, and their roundness allows them to be applied smoothly while adding aesthetic appeal to the products they are in. However, several cities and one state, Illinois, have banned the sale of anything containing micro-beads after they were found in very high concentrations in the Great Lakes because they may be an environmental hazard. One of the newest materials to be used in bean bag chairs is compressed foam, which is also known as memory foam. People buying memory foam bean bags have given them very favourable reviews, and this furniture is expected to increase in popularity over the next few years. Memory foam is a type of polyurethane that has been produced through a unique process to increase its density and viscosity. For this reason, it has also been called viscoelastic foam and low-resilience polyurethane (LRPu) foam. This foam was invented in 1966 for NASA, but it is now a popular material for pillows and mattresses. Memory foam bean bags are easy to transport because they can be compressed to about one-quarter of their resting size during shipping. When used for bean bags, this material can be found inexpensively in the form of offcuts. However, because memory foam pieces are large and irregularly shaped, some people do not like their texture when used in bean bags with thin linings. The material is best used in conjunction with leather or 1680D polyester. Bean bags have been around for a lot longer than plastic has, and they didn’t get their name for no reason. At one time, bean bags were filled with dried beans or other dried grains, such as rice or corn. In recent years, these types of fillings have experienced a resurgence in popularity because people are looking for natural fillers instead of manmade fillers. One of the most popular natural fillers is buckwheat hulls. These hulls are hard, but when used inside a thick lining, they can be very comfortable. Buckwheat hulls fall into a category of other bean bag fillers, such as sand and small pebbles that can be used with stretchable fabric. These products can then be heated on a stovetop, in an oven or a microwave and used for therapeutic purposes. Other materials that work well in do-it-yourself (DIY) heating pads include dry cherry pits, rice and wheat. A favourite game among children and for outdoor parties is the bean bag toss. The small bean bags used for this game are filled with various materials, such as dry grains or sand. No matter which bean bag filler you use, it is important to remember that any small, lightweight objects, such as the beads described above, may pose a risk to children if they are inhaled or swallowed. Because of this, all bean bags sold in the U.S. are required to be strongly double stitched, and all zippers must have a parental locking mechanism or removable zipper handle. However, it is up to you to ensure that all bean bags are properly sealed before using them.